A charity has accused health regulator the Care Quality Commission of betraying the identities of dozens of care workers who have reported concerns about hospitals and nursing homes. Compassion in Care, which runs a hotline for whistle-blowers, claims to have evidence of at least 47 cases where the CQC has breached confidentiality by revealing their identities to their employers. The CQC has denied the allegations and accused the charity of failing to provide it with the evidence. But it has apologised to one nursing home worker who had complained its inspectors had revealed her identity to her employer. Compassion in Care founder and director Eileen Chubb told the BBC she had evidence of 39 individual cases and eight further incidents involving more than one employee. She said: "Their trust has been totally breached by the regulator. To me it is not only unacceptable; you cannot move on from that, it is unforgiveable." The CQC said it had "no record of information to support her claim about the 47 whistle-blower cases", adding: "Despite several requests for Mrs Chubb to provide any information that could help us to investigate such a serious allegation, we are disappointed we have not received any further details to date to enable us to do so." In response, Mrs Chubb said she did not trust the CQC with the information but would cooperate with any inquiry into her claims. She said: "I have masses of evidence that I can share with an inquiry; in fact we've been calling for an inquiry into whistle-blowing for a long time." 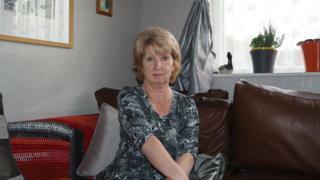 Helen Rochester, a former care-home worker from East Sussex, told the BBC the CQC had given her details to her employer after she had complained about conditions at a nursing home in 2013. She said: "I was completely shocked to be honest. "I felt very, very betrayed and let down. "I was blowing the whistle on what was going on in that care home under the supposedly confidential auspices that the Care Quality Commission allowed me to do, and they just betrayed that confidence." The CQC said: "We apologised to Mrs Helen Rochester as we recognised we had made a mistake in the first instance." Dr Minh Alexander a consultant psychiatrist and one time NHS whistle-blower said: "I have been trying to engage the Care Quality Commission over a number of years now, but I find the organisation defensive and secretive and at times very dismissive. "For example, although the CQC has admitted in at least three cases that it breached whistle-blowers' confidentiality, the chair of the Care Quality Commission has refused point blank in writing to audit CQC's practices in this area." The CQC said it had encouraged Dr Minh Alexander to "share her evidence with us, so that we can look into her allegations further". Sir David Behan, chief executive of the CQC, said: "As the quality regulator for England, we are committed to ensuring that the confidentiality and anonymity of individuals who may need our support is consistently protected. "It is vitally important that anyone who uses or works in health and care services feels able to share concerns about the care they experience or deliver in confidence. "We value the information that people who raise concerns share with us and over the last year have received more than 7,000 types of these concerns - all of which play a vital part in forming a picture of how well a health or care service is looking after people and its staff, and importantly what further action we may need to take for the benefit of everyone involved. "We work hard to ensure people feel confident to speak up knowing that CQC does listen and we do take action on information that is shared with us in line with the whistle-blowing policies that are published on our website." Listen to Andrew Hosken's report for BBC Radio 4's The World Tonight via the BBC iPlayer.